In March 2018, the Partnership for Water Sustainability in British Columbia released Our Story. This provides a comprehensive picture of the integrated program that the Partnership is delivering under the umbrella of the Water Sustainability Action Plan for BC, the purpose of which is to build practitioner capacity to explore new ideas so that those in the local government setting can build greener and more water resilient communities in British Columbia. 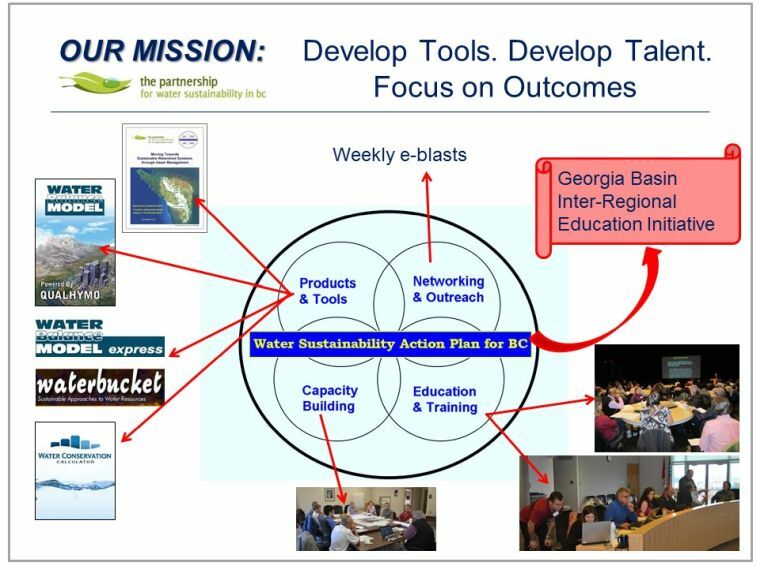 While the Action Plan program has ongoing since 2004, the focus since 2012 has been on an initiative branded as Sustainable Watershed Systems through Asset Management. The integrated program supports initiative implementation by participating local governments. The Partnership for Water Sustainability in BC (the Partnership) was incorporated as a not-for-profit society in 2010 to promote and advance the protection and management of natural and engineered water resources in British Columbia. “The Partnership’s Leadership Team includes engineers and geoscientists experienced within the private and public sector, as well as community engagement through stewardship,” explains Mike Tanner, a founding Director. He retired as a Senior Manager with BC Hydro’s Power Smart program. “The success of the Partnership has been the collaboration developed with provincial, regional, local levels of government and the community, through the provision of leadership, innovation and expertise. “We are working with practitioners involved in water resources functions to foster integrated protection and management strategies through enhancement of practitioner expertise (i.e. 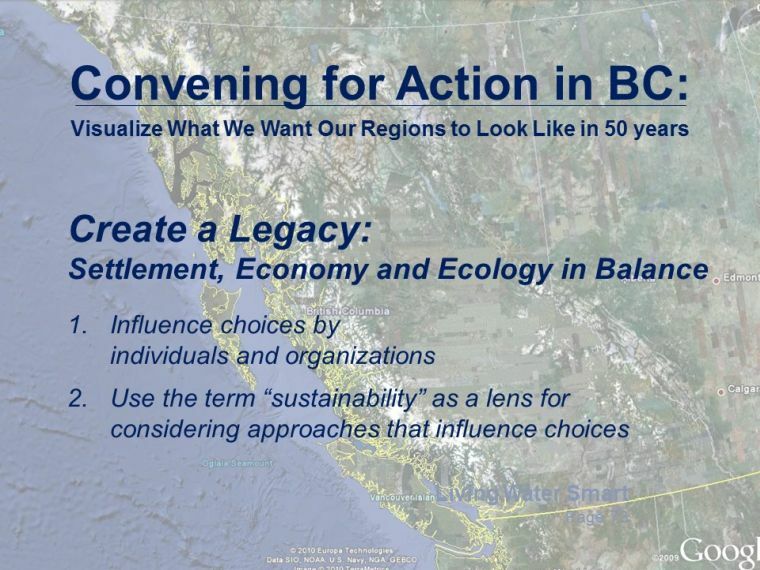 “developing talent”), and through further evolution and delivery of program elements developed under the umbrella of the Water Sustainability Action Plan (the Plan) for British Columbia. “ There is no question that water resiliency will be the focus of the future and will be an essential condition to maintain a stable society and an effective economy, as it is a given that water is truly the connector of all activities on earth. This realization demands innovation and creative partnerships, heretofore not considered possible,” states Eric Bonham, a founding member of the Partnership. Prior to retirement from government, he was a Director in two provincial ministries – Environment and Municipal Affairs. “It is against this backdrop that the Partnership was formed in 2010 with a specific focus of promoting the protection and management of natural and engineering water resources in British Columbia,” continues Eric Bonham. 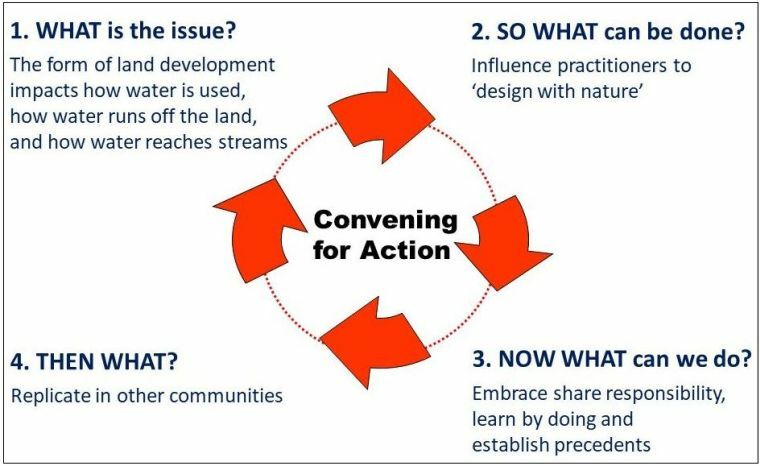 “In effect we are being challenged to re-assess our thinking regarding how we practice water management in the 21st century. Albert Einstein captured the challenge well when he observed: “No problem can be solved from the same consciousness that created it. We have to see the world anew.” The Partnership has accepted this challenge and its implementation,” concludes Eric Bonham.